Monday collections are all time highest for a Monday and ahead of Dhoom 3 and Happy New year. PK is 8th movie to cross 100 crore this year. here is the Complete 100 crore club. Pk had an amazing Monday with collections dropping only by about 23% from Friday which is superb trend. Most of the movies drop more than 50% from Friday but PK has bucked this trend which shows great word of mouth and trend. PK is now set for a very good First week. Pk is second Highest First Weekend of 2014 behind only Happy New year. PK had a huge Sunday and created new records everywhere. On Sunday for First Time mass centers and single screens all improved while multiplexes were good. After a great start PK also has a holiday in its first week and has no competition till Tevar arrives this will ensure that PK will break lot of records if it trends well on weekdays. 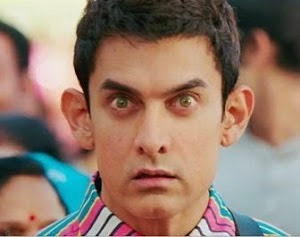 PK is also doing great overseas and while complete breakdown is not available It is running close to Dhoom 3 overseas.